E-To share feedback, offered up by today's participants, with and for the edification of those involved. Check back within the next two weeks for an update! In recent years, Ontario Educators have been watching students' engagement and achievement in Mathematics decline. 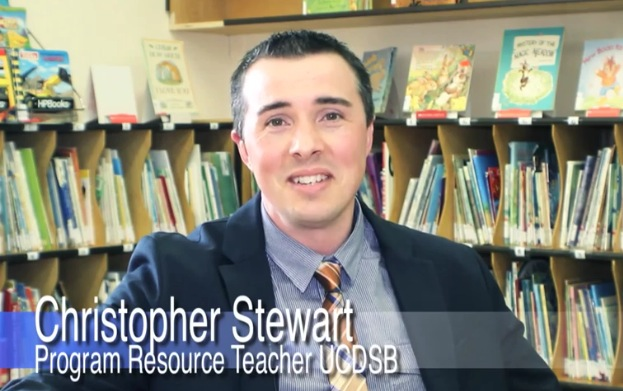 As we believe that ALL students can learn Mathematics, and do so well, we have accepted responsibility for the struggles that many of our students experience in Mathematics. As a result of our Program Department's efforts and implementation of several classroom strategies by teachers, our Board has documented and measured spectacular growth in students' abilities to solve math problems in Grade 6 Patterning & Algebra along with improvement in flexible use of number. 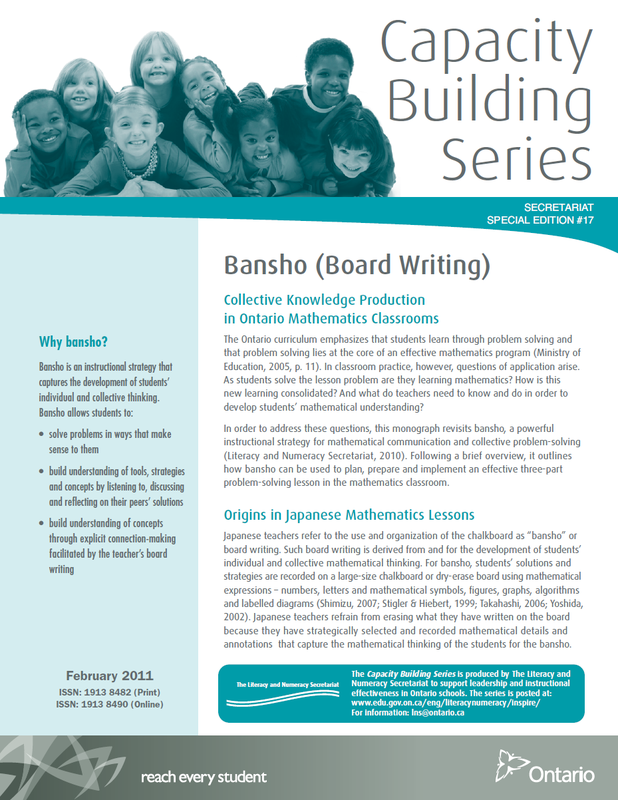 During this workshop, participants will have an opportunity to engage in collaborative, group study, in the area of Junior Mathematics (i.e., Patterning & Algebra) and reflect upon how this type of experience might apply to their own practice. 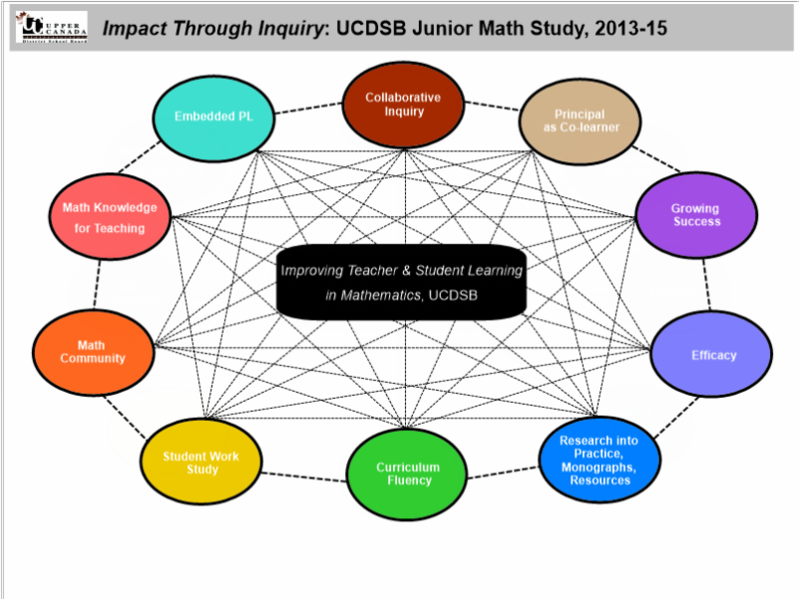 Participants will then hear about how this type of study has greatly impacted student achievement in the Upper Canada DSB. 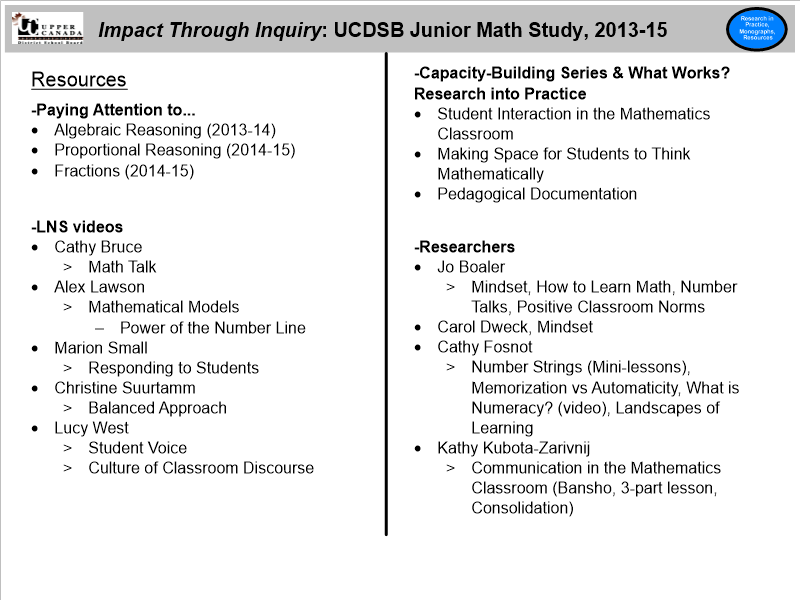 In 2013-14, the Upper Canada DSB (UCDSB) embarked on a journey to improve teaching and learning in the area of Junior Mathematics--the Junior Math Study. The outcomes of the professional learning were phenomenal—significant improvement in student and teacher efficacy and student achievement in the area of Patterning & Algebra. Year 2 of the study continued the support of professional pedagogical learning in mathematics with a content focus in Proportional Reasoning. Aside from the goals of the study and its process, another critical aspect was to determine how are we going? 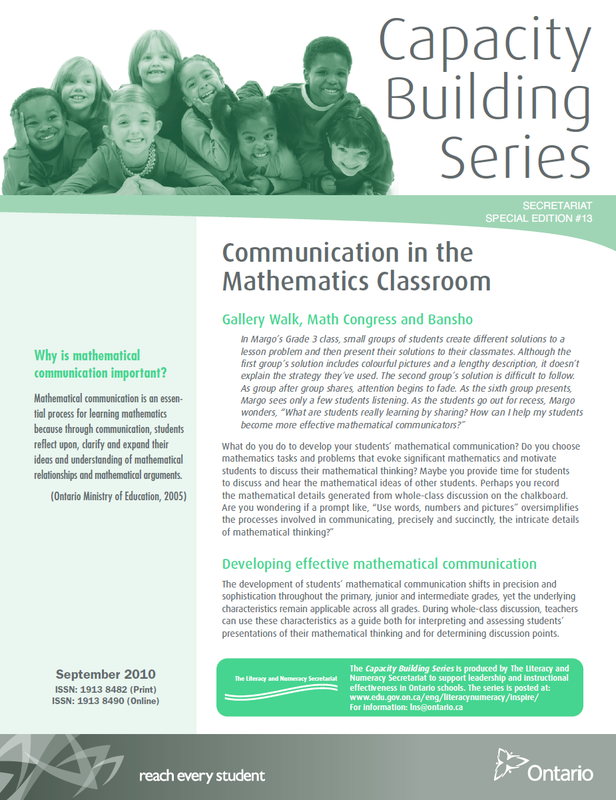 Ongoing collection, summary and sharing of feedback from participants has helped to inform the facilitation of the study and direction of future professional learning opportunities in Mathematics. The following graphic provides some themes and a portrayal of the inherent complexity involved with the intersection of these critical components to successful implementation and support of professional learning programs. Cathy Fosnot: What is Numeracy? On your left (below), you'll notice the survey. Thank you! SURVEY RESULTS: We would like to invite you back to this site to review feedback from delegates. Information shared with us via the survey will be posted within the next two weeks. Q1: What apsect(s) of today's sessions might have an impact on your practice and/or professional learning? Please explain. Q2: Did today's sessions leave you with any wonderings? Please list. Q3: Are there other resources that you would like to suggest to further the learning of those involved in today's sessions? Please list and/or provide details (e.g., links, anecdotes, videos...). NOTICE: Please check back in, within the next two weeks, to review the feedback provided from delegates involved in today's sessions! Thank you.